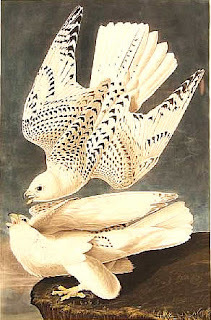 A copy of John James Audubon's Birds of America has sold at auction for just over £7.3m (or 11.5 million dollars). Of the 119 copies known to exist, 108 are owned by museums and libraries. The remainder are held in private collections. The National Audubon Society has a gallery of plates available online here.